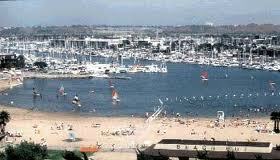 The beaches in Marina del Rey California are much quieter than their neighboring beaches, Venice and Santa Monica. Since there is no boardwalk here, there is just gorgeous, wide, and what seems like private stretches of sand. 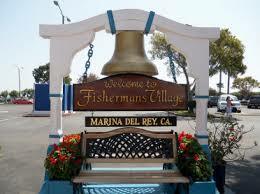 Marina del Rey Beach is a great family beach. There are lots of activities going on here, paddle boarding, people walking their dogs, volleyball and play equipment for kids. There are some restaurants and bars within walking distance which is good because there really isn't a convenient public restroom or food at the beach. Parking over on the Marina side is better and its not that far of a walk. Marina Beach / Mother's Beach is a non-ocean facing beach in the Marina. This beach is great for the little, little ones as there are no waves here. Also great for stand-up paddle boarders! There are plenty of picnic tables in the shade and the parking is convenient and inexpensive. Dockweiler State Beach is just south of Playa del Rey and features three miles of shoreline including fire pits, over 2,000 parking spaces, a picnic area and an RV Park. Like watching planes take off? 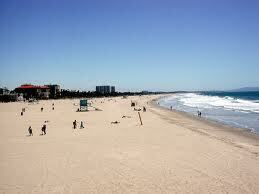 This beach lies beneath the takeoff path of the Los Angeles International Airport. Or click on a hotel to read more about it, check availability and prices. I went to a wedding at the Ritz Carlton in 2012, this hotel is beautiful with awesome views of the marina!